Hello New Week, hello new additions in my Studio! I’m very excited to introduce you to the first, new item which recently appeared on my studio’s wall. While everyone is very much in the Holiday mood, decorating trees and gift hunting, I’m giving my studio a little make-over with a new coat of paint, furniture and a trendy lamp from French Brand – PIB HOME. I know what you might be thinking (c-r-a-z-y is the word) but I’ve been wanting to make changes around here for a while now, so I asked Santa for early gifts and… here they are! The new lamp is timeless, however it does make the studio shine brightly for the Christmas time so the renovation was certainly a good decision. I was extremly happy to discover and team up with the PIB HOME as their products not only have great looks but also are selected based on very demanding criteria. Nobility of materials, finishes, with the consideration of the patina – style and quality are what matters here, which is what I look for when it comes to home decor items. 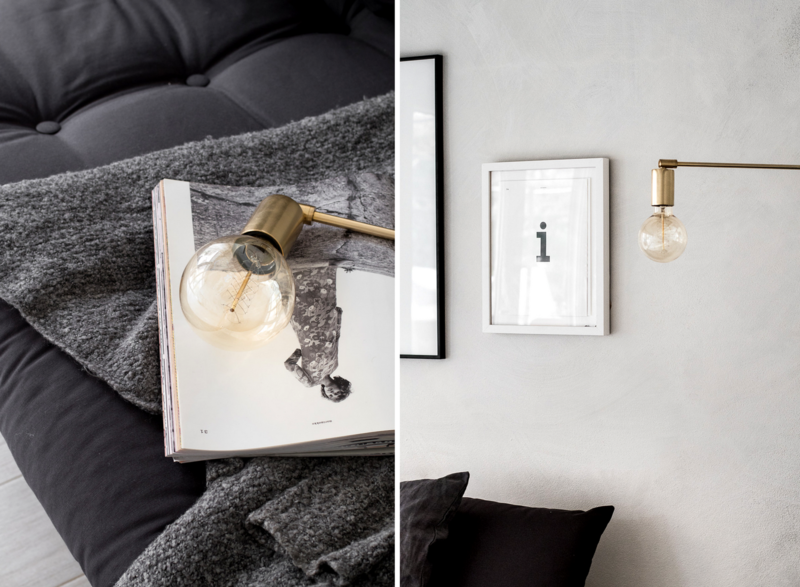 The wall lamp I chose – ‚Janika’ made out of metal with a Nordic vintage design and golden finish, looks perfect against the texture wall I recently painted with ‚Mykonos’, Wow Makers paint. 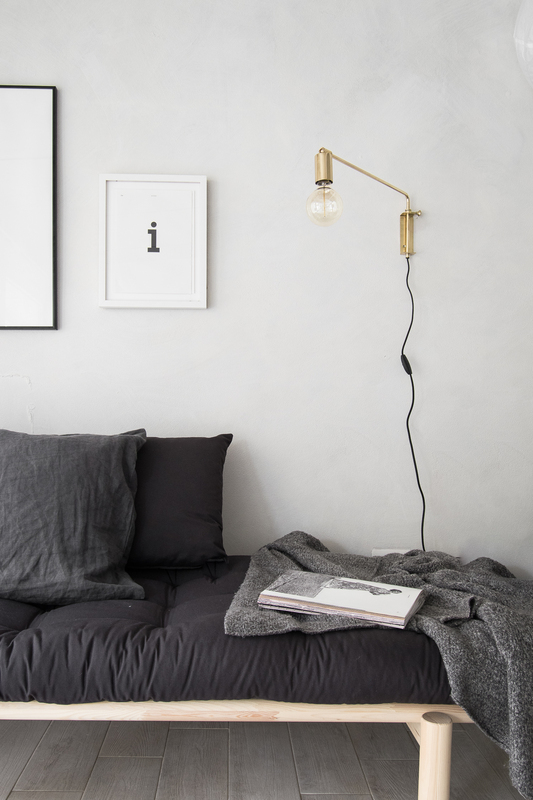 I really like the contrast and chic industrial look we created here. PIB Home is offering a wide range of Scandinavian Vintage designs, in particular of the 40s and 60s: the furniture, lamps which are simple yet edgy at the same time. 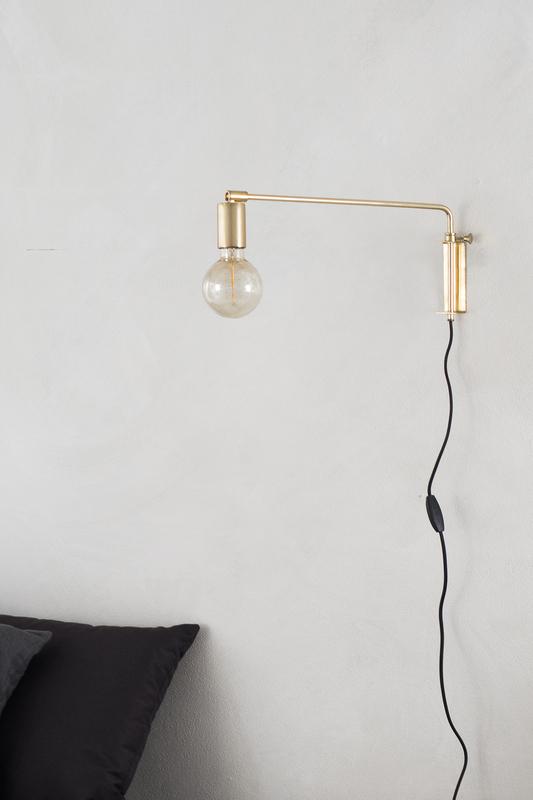 With its adjustable lamp holder ‚Janika’ lamp can be used over your sofa or as a night light over the head of your bed, a piece that will add character to any corner of your home. I’m really happy with my choice and how it looks above the daybed sofa here. 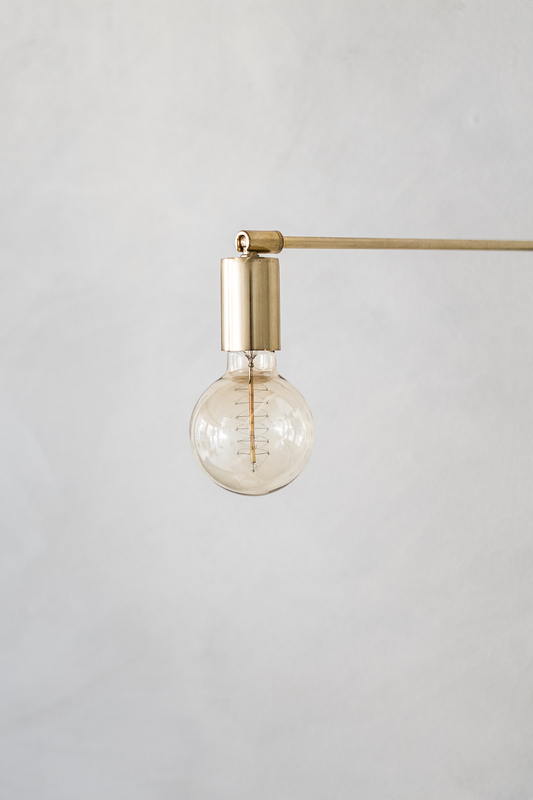 Have a look at all the industrial lighting options available and see which one would fit your space. Spot any favourites? What do you think of ‚Janika’ lamp in my studio?